Purpose: This paper examines the gender gap in education and investigates the related implications on the labour market and return to education in Sudan. Design/methodology/approach: This paper uses primary and secondary data obtained from different sources. It uses new primary survey data at the micro level collected in Sudan in 2009, and uses the Ordinary Least Squares (OLS) method to estimate the Mincerian earning function and the rate of return to education defined by gender in Sudan (2009). Findings: The findings confirm two stylized facts: first, the incidence of a significant gender gap in education in Sudan and second, the incidence of a gender gap in skill level, share of women in economic activities, labour force participation rate, employment and return to education in Sudan. The results imply that the slight gender difference in the rate of return to education in favour of women is only 0.2, which is not very noticeable. These findings indicate the importance of enhancing educational attainment for women to reduce the gender gap in education and employment and to facilitate improvement in the return to education for women in Sudan. 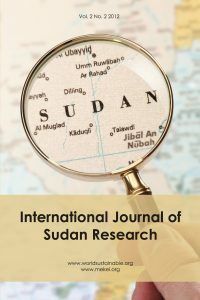 Originality/value: This paper is valuable because it fills the gap in the Sudanese literature by addressing the gender difference in education and related implications in the labour market and return to education, since these issues are not adequately discussed in the Sudanese literature. A novel element in this paper is that it uses new primary survey data at the micro level and it shows the difference in return to education defined by gender in Sudan, which is consistent with the findings in the international literature concerning the gender gap.